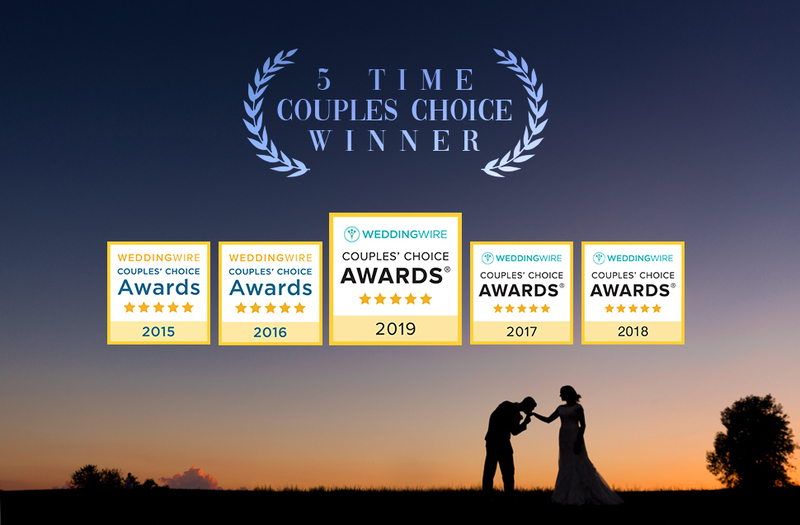 I’m really excited to announce my 5th consecutive Couples Choice Award from WeddingWire! Consistently getting 5-star reviews isn’t easy. It takes time, dedication, and a commitment to excellence for every client, every shoot, every edit, and every photo. I always tell people looking for any kind of wedding vendor to read reviews, but especially for photographers! Your wedding photographer will spend the majority of your most important day with you. Often times, I end up being like the day-of coordinator. I interact with all the other vendors, the bridal party, and the family. Unless you have a wedding coordinator, it usually falls to me to get us from place to place and keep us on schedule. I’m happy to do all that, it’s what comes naturally for me. On top of that, taking photos of all the big moments and the small ones in-between. Helping with posing and helping you to feel natural in front of the camera and really be yourself. Encouraging real interaction, real smiles, and real love between the couple – those make the best photos! I LOVE what I do and I’m blessed to have incredible clients who have left many great reviews. Stop over at WeddingWire and check them out for yourself!